Providing early childhood education to the children of Richmond. While our breakfast foods are not scratch made, they meet all USDA requirements. Our cold breakfast features low-sugar cereal and fruit bursting with vitamins and energy. 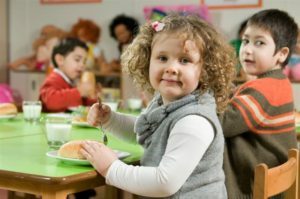 Starling Child Care offers a nutritious, well balanced meal that is lower in processed foods than other child care centers. 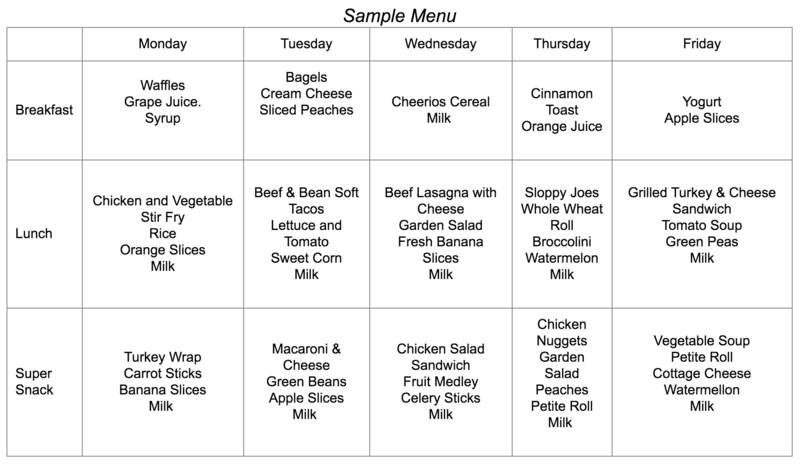 All meals meet the requirements of the USDA Child and Adult Care Food Program (CACFP). 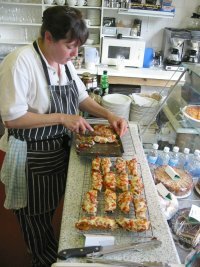 We offer made from scratch meals, as well as fresh vegetables and fresh fruit as much as possible. We use few canned items – we try to use seasonal fresh fruit and vegetables. Our lunch program uses high quality ingredients for a fresher, less processed taste. It’s healthy and it tastes good. Some Elementary Schools have lunch as early as 10:30am, and kids need more than a snack to make it through the afternoon. At Starling, we provide a full-course meal for children each afternoon. The extra nutrients ensure that these children have enough energy to have plenty of fun and learning throughout the afternoon. This center offers meat-free breakfasts, lunches and snacks. Meat alternatives like cheese, beans or yogurt are used instead. This vegetarian option is provided free of charge. Copyright © 2019 Starling International Childcare & Learning Complex.